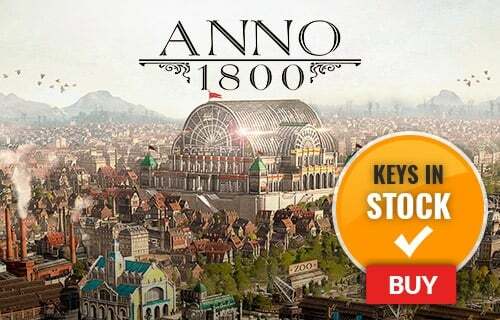 In a war-torn world filled with might and magic, the time has come to stand against the Chaos hordes. Adventure alone, or group up with up to four friends in online or local co-op action! 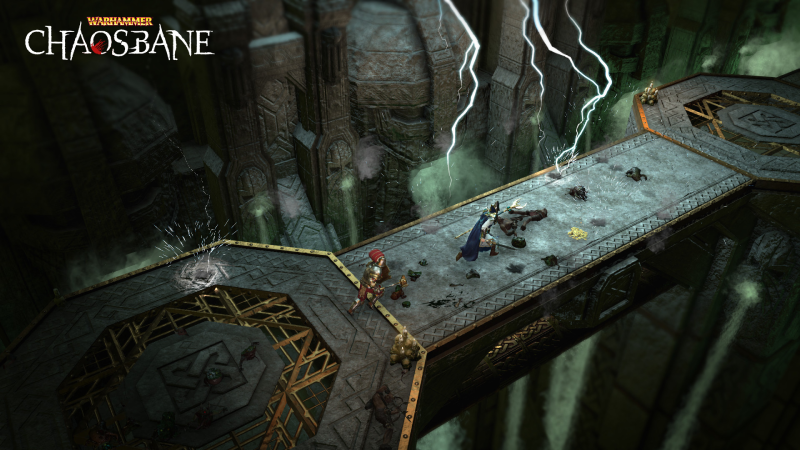 Select from up to four different classes in Warhammer Chaosbane, and prepare to wield powerful relics of the Old World as your weapon! What's included with Warhammer Chaosbane? 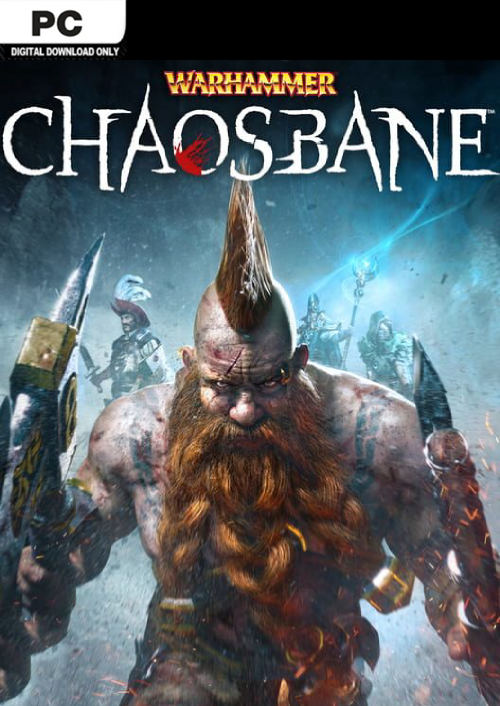 Included is the Warhammer Chaosbane base game for PC. Is there any region lock for Warhammer Chaosbane? How will I receive my instant download for Warhammer Chaosbane? 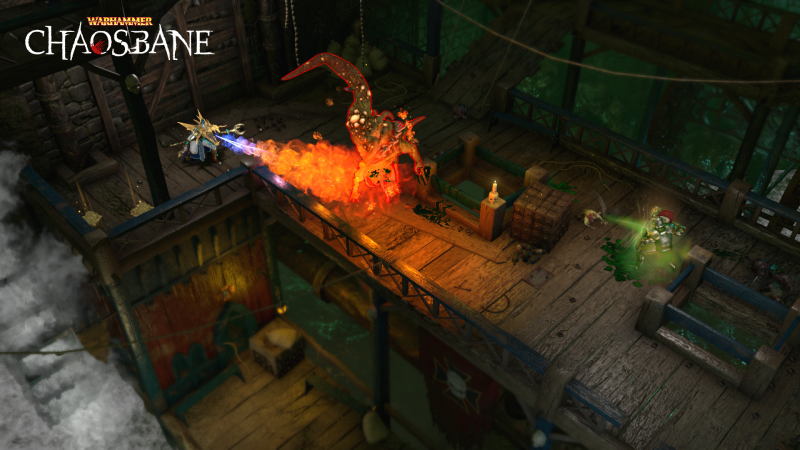 Prepare to experience the first hack-and-slash game set in the Warhammer universe! 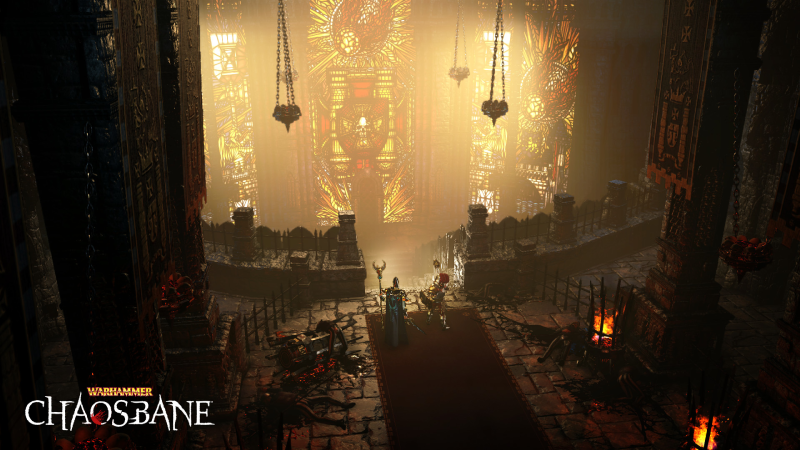 In Warhammer Chaosbane, you are the only chance that the Empire of Man has to survive against the ruthless Chaos Hordes. With over 180 powers at your disposal, you'll fight your way through the battle-ravaged streets of Praag down through the sewers of Nuln. Try your hand at four different unique classes: Dwarf, High Elf, Wood Elf, or soldier from the Empire of Man. Over 70 different monsters fill the extensive bestiary in Warhammer Chaosbane. You never know what kind of monstrosity you may face next! 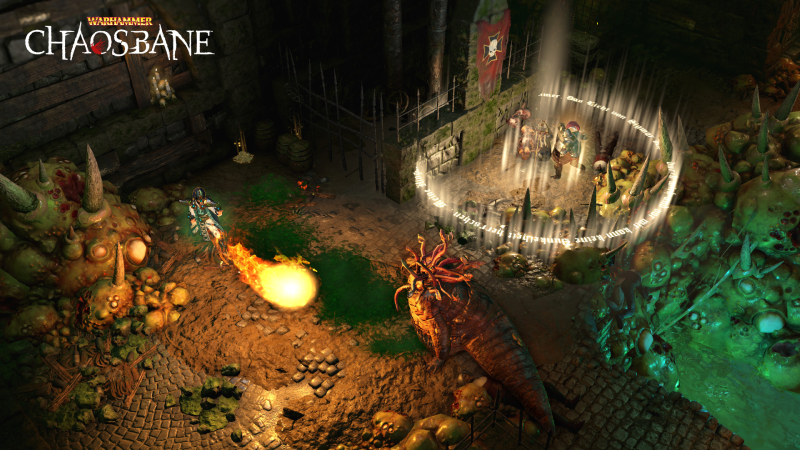 Warhammer Chaosbane is optimized to be played with friends in both local or online co-op! Group up with your buddies and combine your different skills and abilities to form the ultimate dungeon crawling squad! 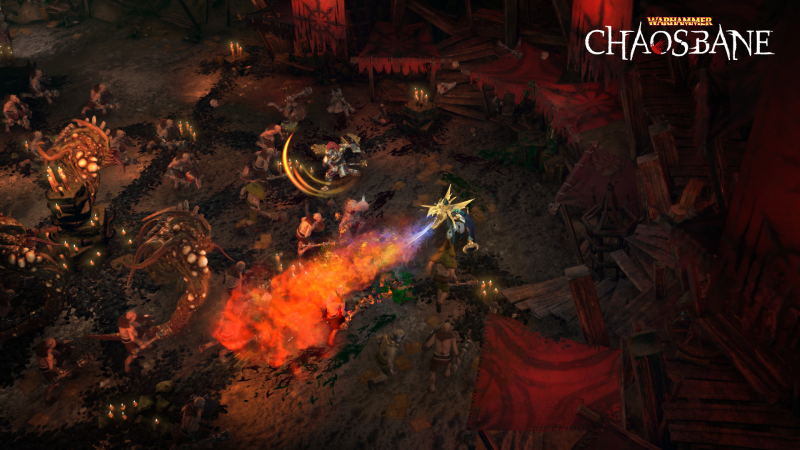 Want to get a free key to play Warhammer Chaosbane? What are the system requirements for Warhammer Chaosbane?